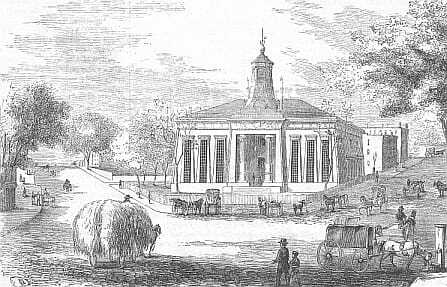 Newark court house in early 19th century. The practice of law in New Jersey, dominated for many years by sole practitioners and small firms providing legal counseling and diverse legal services, has increasingly consolidated into larger firms with attorneys focused on narrow specialties. Much of the trend toward consolidation has been driven by the economics of practice as attorneys seek to share costs of offices, staff, and other overhead with others. Technology also has reduced the demand for lawyers to handle simpler matters like wills and business start-ups, with legal forms now widely available to the public on the Internet. Legal research traditionally conducted within firms also is now easily outsourced to lower-cost locations in the US and abroad. Advertising for clients, for many years prohibited in New Jersey and most other states, also is now common to advise the public of services and fee levels, stimulating competition among lawyers promoting their expertise or lower costs. ​ Even the largest firms, which traditionally resisted visible marketing for clients or adjusting their standard fee schedules, have been forced to modify their business models; they now have been compelled to submit proposals, including fee levels and projections, for continuing retainers or for representation on specific matters to major corporations, public agencies and other major clients which solicit competitive bids from their peers or use their own in-house counsel to handle matters previously outsourced to law firms. Those attorneys who continue to practice on their own or in small firms have come under increasing pressure to maintain profitability, which has been cited as one of the factors leading to many attorneys leaving private practice. In some cases, attorneys have pursued legal careers within corporations or other organizations without the need to attract and maintain their own client base; in others, they have left the profession through obtaining employment in positions apart from the practice of law. Nationally, student applications to US law schools have steadily declined, and in fall 2015 fell to their lowest level in 15 years, a trend attributed at least partially to rising costs of tuition and resulting student debt as not warranting the risks of seeking decreasing opportunities in private practice. For graduating students at private law schools throughout the nation, the average debt in 2011 was $125,000, an increase of over 70% from the $70,000 in 2001. The total number of attorneys admitted to practice in New Jersey, including those in other states and those not active in private practice, was 98,396 at the end of 2017, according to the annual report published by the Office of Attorney Ethics. During Court Year 2018, 1,519 new attorneys were admitted to the New Jersey bar, a 3.31% decrease from the previous year. Nationally, the state ranked sixth of all states in total attorneys admitted to practice, which a survey conducted in July 2017 reported as a total of 2,099,862 lawyers admitted to practice in the United States. Of the 98,396 attorneys in New Jersey for whom some registration information was available, 76.2% also were admitted to practice in other jurisdictions, with the leading states New York (44,709) and Pennsylvania (26,608. ​ The number of lawyers in traditional fields of legal practice, however, is significantly lower than the total who hold legal degrees or admitted to the bar. As of 2015, New Jersey had 41,569 active and resident lawyers, according to the American Bar Association, with the state ranking as the eighth highest in total lawyers and fifth highest in lawyers per capita of the 50 states. Over the ten-year 2005-2015 period, the ABA reported a 9.1% increase in the total number of lawyers in the state compared to a 17.7% gain for the nation (including the District of Columbia). The annual mean wage of New Jersey lawyers as of May 2015 was $145,970, according to the periodic survey of the US Bureau of Labor Statistics. For most of the state's history, the New Jersey judiciary and legal profession was highly protective of its state-based firms and attorneys, restricting the ability of out-of-state lawyers not admitted to the New Jersey bar to practice in the state, largely due to the fear that lawyers and firms in New York City and Philadelphia would solicit clients within the state. While many states allowed out-of-state attorneys privileges to perform occasional services or appear in court to represent clients on specific matters, the New Jersey judicial rules maintained barriers which frequently required out-of-state counsel to retain New Jersey attorneys to conduct legal business within the state. In recent years, some of these restrictions have been eased, but New Jersey remains one of the more difficult states for attorneys not admitted to its bar to engage in occasional legal practice within the state. In order to become a lawyer admitted to the New Jersey bar, candidates must: (1) be at least 18 years of age; (2) have graduated with a Juris Doctor (JD) or Bachelor of Laws (LLB) degree from a law school accredited by the American Bar Association; (3) be in good standing in all jurisdictions to which they previously have been admitted to the bar; and (4) pass the state bar examination. As of February 2017, the bar examination, previously an examination focused on knowledge of New Jersey law and procedure, has been replaced by the Uniform Bar Examination, a standardized test of minimum competency on general principles of law, legal analysis and communication skills designed by the National Conference of Bar Examiners. The test is comprised of the Multistate Essay Examination, the Multistate Performance Test, and the Multistate Bar Examination. Of the 1,091 applicants who received results in taking the state bar examination in July 2016, 713, or 65.35% of the total taking the test, passed the exam. To maintain admission to the bar, every active New Jersey licensed attorney in good standing, unless otherwise exempt, is required to complete 24 credit hours of continuing legal education every two years. Attorneys admitted since 2009 are also required to complete additional education courses in specific legal subjects. The legal education standards for law school graduates replace the former system in place until 1964 which required completion of a year of service as a clerk to a judge or lawyer before licensing. 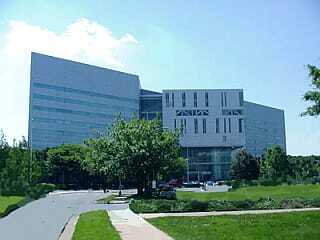 The New Jersey Supreme Court also provides rules for mandatory limited licensing of in-house counsel--attorneys not admitted in New Jersey who work as employees within corporations or other organizations--relating to the legal activities they can undertake either in New Jersey or on New Jersey-related legal work in other US jurisdictions. Lawyers wishing to be recognized by their peers and potential clients as specialists in a specific area of the law may become certified under rules of the state Supreme Court’s Board on Attorney Certification which require demonstration of relevant experience and education in a specific field of practice. ​ Once admitted to practice law in the state, lawyers also must pay an annual fee, currently $212, to finance the Lawyers' Fund for Client Protection and the attorney discipline system. The Fund provides reimbursement to clients who have incurred financial losses because of attorney misconduct such as misappropriation of client funds held in escrow accounts. Attorneys also are required to complete an annual registration statement and establish trust and business accounts in an approved New Jersey financial institution, which are subject to periodic audits. The Fund also supports the Office of Attorney Ethics, which acts as the investigative and prosecutorial arm of the state Supreme Court in discharging the Court's responsibility to supervise and discipline New Jersey attorneys. The OAE assists and manages 18 district ethics committees and 17 district fee arbitration committees throughout the state. Additionally, the OAE itself handles serious, emergent and complex disciplinary prosecutions and also administers the random audits inspecting financial accounts and recordkeeping responsibilities of private practice law firms. ​ Lawyers who engage in unethical conduct are subject to discipline by the state Supreme Court, which can range from an admonition, the least serious discipline, to a reprimand, censure, suspension from practice, or permanent disbarment from practice. The attorney disciplinary process is usually begun by filing a form with one of the Supreme Court's 18 district ethics committees. In 2017, 192 attorneys were disciplined, an increase of 13% over the 169 in the prior year. The district committees also conduct fee arbitration programs in disputes relating to the level of fees charged for services. In 2015, the committees handled a total of 1,649 cases. Throughout New Jersey's history, lawyers have been key leaders in government and politics. The state's first governor, William Livingston, practiced law and since the adoption in 1947 of the current state Constitution, of the fifteen governors who have served, nine have been lawyers (Driscoll Meyner, Hughes, Cahill, Byrne, Florio, DiFrancesco, McGreevey and Christie). Approximately one fourth of the 120 members of the state legislature are lawyers, the largest proportion of all occupational categories represented. To some extent, the prominence of lawyers in public affairs reflects their training in the development and application of laws to the private pursuits of their clients, but participation in government and politics also has been a recognized path to obtain visibility in the state and in local communities which is helpful in gaining clients for those lawyers in private practice. While conflict-of-interest and "pay-to-play" laws have reduced the number of firms and lawyers who seek government and political work, there continue to be several specializing in government relations. Most commonly, these services include lobbying on laws, regulations and local ordinances; representing state agencies and local governments; or providing support to both public and private clients in such areas as public finance, land-use, environment and election law. In its annual survey of firms engaged in government lobbying, the New Jersey Election Law Enforcement Commission reported in that based on revenues in 2017 the Gibbons ($2.1 million) and Riker Danzig Scherer Hyland & Perretti ($1.4 million) law firms ranked as the top firms in revenue related to lobbying for the year. (See more in Law Firms). The New Jersey State Bar Association is a voluntary professional organization founded in 1899 that has more than 18,000 members in the legal profession, somewhat under half the number of resident and active attorneys in the state. The Association lobbies on legislation and regulations affecting its members; maintains several committees on practice specialties and other interests; provides continuing education programs through its Institute for Continuing Legal Education; and publishes the New Jersey Lawyer periodical and directories of its members and public service programs available to the public. ​ County bar associations, some of which were established before the State Bar Association, also are active in sponsoring regular networking meetings and educational seminars, offering scholarships and other community support and, in some cases, referrals for pro bono legal aid services. ​ Other associations of lawyers are organized for more specific practice interests (e.g. Trial Attorneys of New Jersey; New Jersey Defense Association; New Jersey Association for Justice; Association of the Federal Bar of New Jersey; Association of Corporate Counsel-New Jersey; New Jersey Bankruptcy Lawyers Foundation) or for networking with those of similar personal backgrounds (e.g. New Jersey Women Lawyers Association; Garden State Bar Association-African American Lawyers for Justice; Hispanic Bar Association of New Jersey; Asian Pacific American Lawyers of New Jersey; New Jersey Muslim Lawyers Association. ​ Many New Jersey lawyers also are members of the American Bar Association, the national organization established in 1878 which has over 400,000 members. The ABA also sponsors conventions, seminars and other events; publishes books, articles and newsletters; represents the profession on national legislative and regulatory matters; and promotes public understanding of the legal system and the role of lawyers. Founded in 1972, Legal Services of New Jersey provides free legal assistance to indigent persons on civil matters, such as immigration, housing, employment, bankruptcy, and family law. In addition to a statewide coordinating office, it sponsors five regional programs and maintains 23 local offices servicing clients in all 21 counties. Apart from Legal Services, some county bar associations also provide referral services for indigent or pro bonolegal aid, and a few major law firms also sponsor ongoing programs. ​ A chapter of the national organization founded in 1920, ACLU-NJ also undertakes representing clients in cases which it believes threaten rights to equal treatment, fairness, privacy, freedom of speech or religion. The ACLU-NJ also lobbies and sponsors public education programs on legislative, regulatory and other issues raising issues of personal liberty. ​ Established state legislation the Public Defender represents adult and juvenile clients who are charged with indictable criminal and juvenile offenses in New Jersey state courts when the court determines that they cannot afford to hire private lawyers. The Public Defender also may represent clients if they are found guilty and choose to file direct appeals or post-conviction petitions concerning their convictions and/or sentences. Through its Office of Parental Representation, it also may represent parents and/or guardians who are accused in Family Court of abusing and/or neglecting children and/or who face possible termination of parental rights. Its attorneys do not represent, however, individuals facing domestic violence complaints in Family Court; traffic or minor offenses that are handled in local Municipal Courts; or parole violation matters. Following completion of its representation, the Office is required by law to seek reimbursement from its clients for costs of its services, with liens filed on future refunds of state taxes or other payments. All active attorneys in New Jersey (with exceptions of some categories such as those in full-time government employment or approved pro bono legal services organizations) also are required by a rule of the state Supreme Court to provide "pro bono" (shortened from Latin pro bono publico "for the public good") or free representation in certain cases. Most mandatory pro bono cases fall within three categories: violation of domestic violence restraining orders; municipal appeals; and parole revocation hearings. ​A weekly print and digital publication available by subscription which is the most-read source of legal news and information for the state's lawyers. It is owned by ALM, the New York City-based publisher of 33 national and regional magazines and newspapers, including The National Law Journal and The American Lawyer. The Law Journal is the official source for all state and federal court notices, and provides digests of all relevant court decisions, along with articles on topics related to the judiciary, legal practice and law firms. It also publishes annual surveys of the largest firms in number of attorneys in revenues and in special areas of practice such as lobbying. Its Editorial Board is recognized as a cross-section of prominent bar leaders. Published bi-monthly by the New Jersey State Bar Association as a print and digital magazine. It features articles on emerging trends, major cases and other developments affecting the profession. First published in 1888, the Lawyers Diary is a directory and reference guide available in both print and online formats with contact information for all attorneys; state and federal courts; filing fees; and other information relevant to legal practice. It is published by Lawyers Diary and Manual, LLC, which also publishes similar lawyers diaries for the states of New York, New Hampshire, Massachusetts and Florida, as well as Fitzgerald's New Jersey Legislative Manual (a state-authorized reference guide published since 1879 with information on state and local government agencies and officials). ​ Several print and online directories provide lists, profiles and contact information on New Jersey law firms and individual attorneys. The oldest and best-known global directory is the Martindale-Hubbbell Law Directory, which was first published in 1868; like other print directories, Martindale-Hubbbell now also publishes online (including over its Attorneys.com and Lawyers.com sites) with profiles for over one million lawyers and firms in the US, Canada and 160 other countries. Other online directories include those published by FindLaw.com; Avvo.com; Nolo.com; and the Legal Information Institute of Cornell Law School. The New Jersey Supreme Court also posts an online Attorney Index of attorneys admitted to practice in the state. Most county bar associations also publish either print or online directories of their members. ​ Some publishers also have developed rankings of "top" or "best" lawyers and law firms based on objective (eg law firm revenues or number of attorneys) or subjective (eg peer review surveys of lawyers) factors. The New Jersey Law Journal publishes an annual survey of the state's largest law firms in gross revenues, as well as more specific lists of firms in such areas as revenues related to lobbying. NJBiz.com, a print newspaper and digital publisher, also compiles lists of major law firms with data on revenues, number of attorneys and other background.​ Ratings based on peer reviews conducted in surveys of lawyers, clients and others include the lists of "Best Law Firms" of US News & World Report; "Best Lawyers" of Best Lawyers in America; and "Super Lawyers" of Superlawyers,com (Thomson Reuters).